As all of you know by now, I love a new year. There aren’t many things I love more than a fresh start, a chance for a do-over. Over the years I have made many resolutions and goals for the year. I have kept some of them, and let some of them slide. Looking back at my goals for 2014, I feel a little conflicted. I had good moments and bad moments, but can’t say that I really reached any of these goals. What I have come to realize, after a few days of reflecting and thinking about the year ahead of me, is that my goals really mean nothing. I made a mistake when I made those goals, because they are my goals, based on my own works. I have to ask myself, does the state of my home or what time I get up in the morning matter to God? The answer is no. Does my treatment of people and how I spend the time He has blessed me with matter to God. Yes. My goals were not committed to God. They were made without much prayer and consideration. This year, I plan to do away with the entire concept of resolutions, words for the year, and goals. 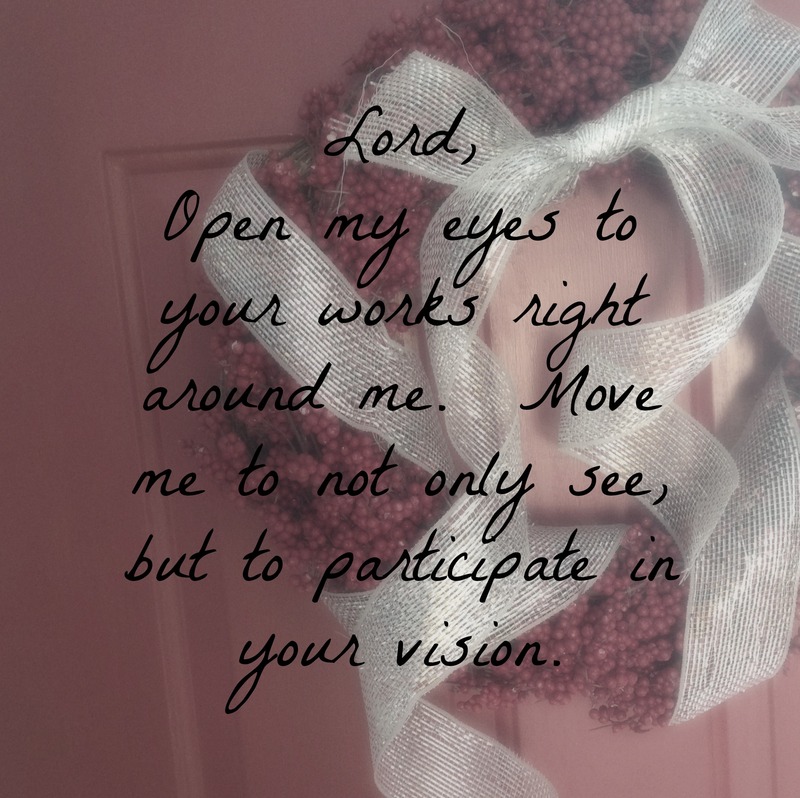 I am going to focus on a specific prayer for 2015. What are God’s goals for my 2015? This doesn’t mean that we shouldn’t have goals. I have a stack of books I want to read, files I want to clean out, and I backed up the pictures on my phone this morning. However, those goals, whether they come in the form of words or resolutions, shouldn’t be our main focus. I have a big prayer for this year, and I am going to pray it fervently. I have come to realize that I am missing out on opportunities right in front of my face because I am so busy trying to make my own opportunities. This year I am praying that I will see what God is already doing around me and through me, and that I will say “yes” when an opportunity is presented to me. He is not waiting on me, and I don’t need to waste any more time.